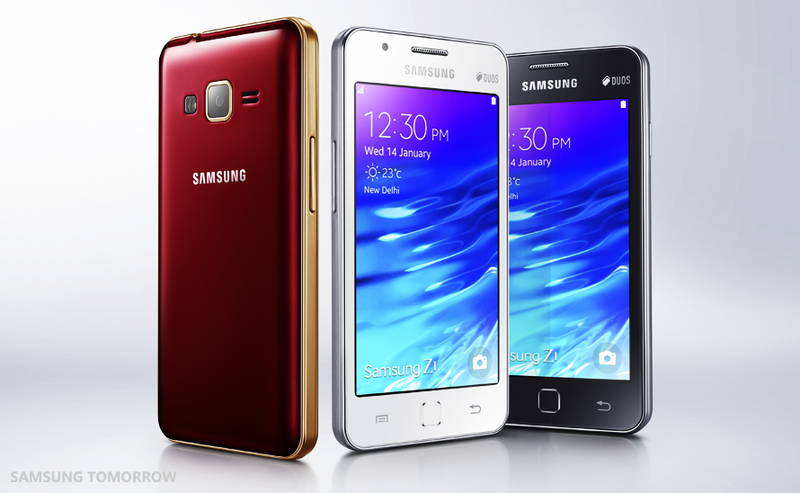 After several false starts, Samsung has launched a phone running its Tizen OS. The Z1 goes on sale Wednesday in India. The Z1 is on a low-spec device sold at budget prices — it’s not meant to compete against the iPhone or Samsung’s high-end Galaxy Note and Galaxy S lines. It will cost 5,700 Indian Rupees, or about $92. As was leaked in December, the Z1 has a 4-inch, 800 x 480 screen, an unspecified 1.2 GHz dual-core processor, 768MB of RAM, and a 3.1-megapixel rear camera. The Z1 supports Bluetooth 4.1, but it’s a 3G handset and it won’t work on LTE networks. Some Android One handsets available in India are arguably a better deal — they have basically the same hardware for a similar price, and can take advantage of a better selection of software thanks to the Android platform. So Samsung will rely on bundled content to sway Indian consumers into trying the nascent operating system. Samsung points out that several “important apps” are already available for Tizen, including WhatsApp, which is key for the Indian market. The Samsung Z1 will be bundled with entertainment apps and services, in a package called “Joy Box.” It includes free three-month subscriptions to services that stream Bollywood songs and movies. Ultimately, Tizen’s future might not be on handsets. It appears that Tizen is better suited for Samsung’s internet of things efforts — it’s already the operating system for Samsung’s line of Smart TVs and some of its smartwatches. At the same time [company]Samsung[/company] announced the Z1 on its website, it also published a blog post titled “Tizen in the Big Picture” on its corporate blog. After a casual mention of the Z1 in the first paragraph, the post does not mention smartphones again and instead focuses on Tizen’s advantages for the IoT in devices like wearables, vacuum cleaners, and washing machines. Android One has better hardware with 4.5 inch ,quad core and 1GB RAM for a bit more. But Android One is also poor value, the Xiaomi Redmi 1S is 5999INR (96.6$) with 4.7 inch 720p, SD400 at 1.6GHz, 1GB RAM and a good 8MP cam but there must be hundreds of better deals than the Samsung.